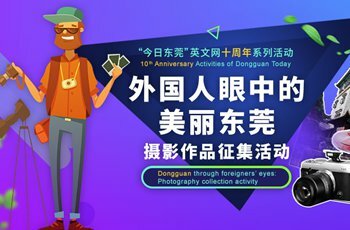 With nice weather and gentle spring breezes, April is a good time for family and friends to visit Dongguan. Have no idea where to go? Here are several recommendations. Songshan Lake is an 8 square kilometre freshwater lake surrounded by hill vegetation and ecological wetlands. Adorned with singing birds, anywhere you explore will provide a very nice picture. Cycle slowly to Blooms Peak at Songshan Lake and appreciate the scenery along the way. You will see a sea of flowers and trees slowly unfolding. We recommend you slow down, to listen to the sound of a rustling flowers and bird songs. Tips: During holiday times, there is a sharp rise in the number of visitors. Use of public transportation is recommended.